Blekinge Institute of Technology (BTH) is a public authority, subject to the same legislation and regulations as other public authorities in Sweden, and acts according to the particular statutes, ordinances and regulations relevant to the higher education sector. For further information about the university click BTH. 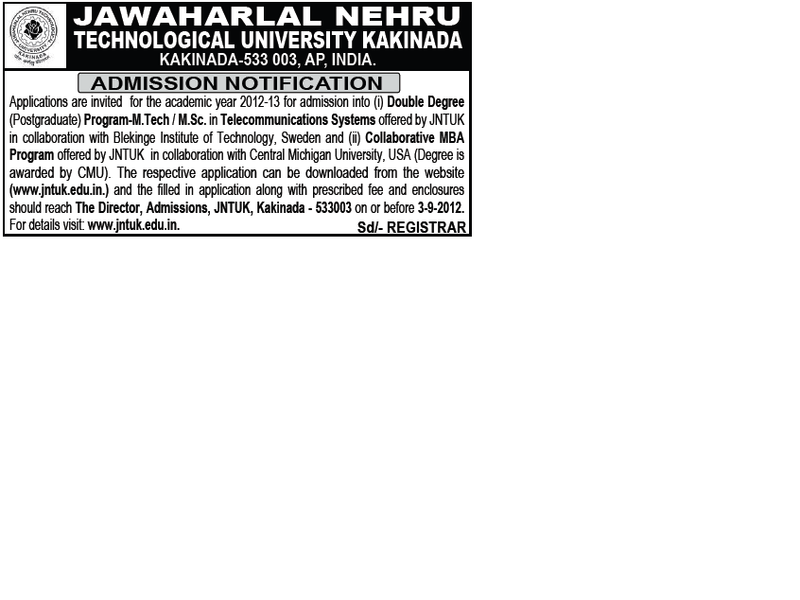 Kindly post your replay for "JNTU Kakinada Double Degree Programme"